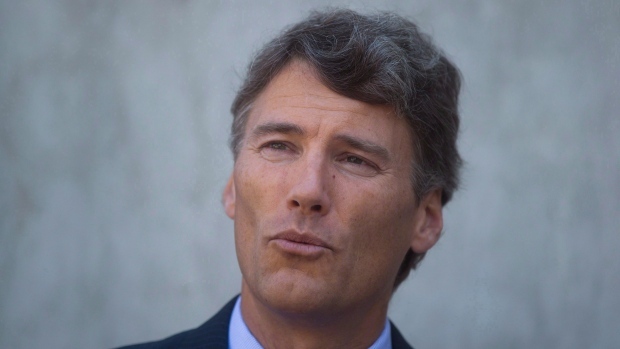 Vancouver’s mayor says the city will impose a tax on property owners who don’t live in their residences as part of an effort to make housing more affordable, but Gregor Robertson acknowledges his council will have to figure out a way to work around a provincial government that has rejected previous efforts to tax empty houses. After months of demanding action from the provincial and federal governments on the affordability crisis, Mr. Robertson said Tuesday he has no faith that the province in particular will intervene. He said city staff are looking at all options, even if it means navigating around the province, which has jurisdiction over such a tax. The mayor said the city wants access to an estimated 10,000 empty houses in Vancouver, a figure based on data that city staff released in March. But he didn’t say how high he thinks the tax would have to be to persuade those owners to rent out their houses. Mr. Robertson also did not explain how the tax would work, saying he was waiting for staff to come up with a detailed plan. As the cost of housing in Vancouver has skyrocketed and the rental market has been squeezed, speculation has grown over how much foreign investment is driving the price escalation. But Mr. Robertson’s plan would tax all homeowners who do not live in the properties they own, from overseas buyers to snowbirds from elsewhere in Canada. Mr. Robertson did not detail how much time owners would have to spend in their homes to avoid the tax. Mr. Robertson said he expected a report from city staff in coming weeks on best options for proceeding with the plan. “We’re looking at what we might be able to do here at the city without the province’s help. There might be more limited options,” Mr. Robertson told reporters at City Hall during a break in a council meeting. The mayor set a tight timeline for action, saying it is “imminent” because council takes a break from the end of July to September. A year ago, Mr. Robertson sent a letter to B.C. Premier Christy Clark asking the province for a tax on luxury housing and measures to fine property owners who do not live in the units they own. Ms. Clark rejected the requests and suggested the city could find solutions in better land-use planning. A B.C. Finance Ministry statement issued Tuesday did not respond specifically to Mr. Robertson’s vacancy-tax proposal, but said the B.C. government is examining a broad range of policy choices to help British Columbians access “appropriate housing in the short term” and that a plan will be presented when that work is done. “It’s good to see Vancouver is considering what action it can take within its authority,” the statement said. One of three councillors representing the Non-Partisan Association party on the council dominated by Mr. Robertson’s Vision Vancouver party said the NPA is generally supportive of the vacancy-tax idea, contingent on the details, but skeptical about the mayor’s timeline. She also said, speaking for her NPA colleagues, that there may be merits to a regional, as opposed to a City of Vancouver, approach.